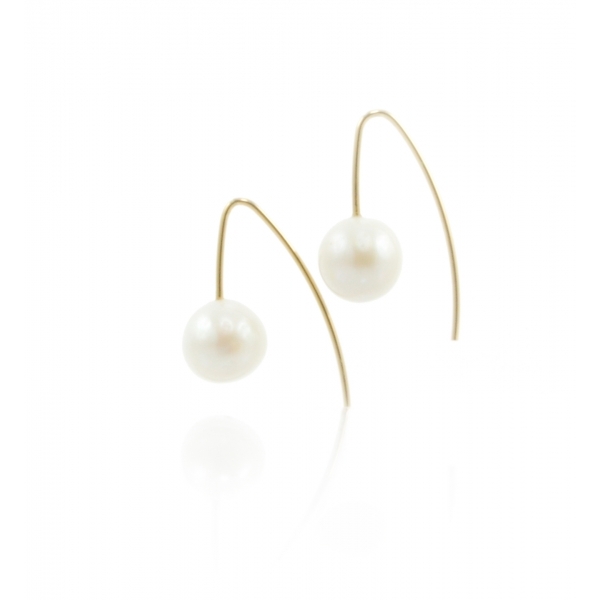 Classic and elegant these designer earrings feature freshwater pearl drops which hang perfectly on a sterling silver and 18k gold vermeil hook. 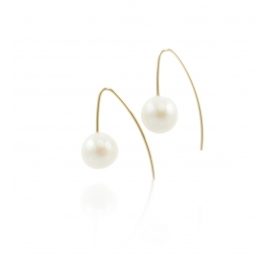 These pearl drops are so versatile: perfect with a classic shirt, evening dress or dressed down. Approx drop: 2cm; Approx stone diameter: 0.8cm. Wear alone or match with the Pearl Drop Gold Necklace or Scatter Pearl Necklace for a perfect set and lovely gift idea. Melissa McArthur creates a look that is modern, sophisticated, fresh and exciting. There are many unique collections, all handmade using precious and semi-precious gems and metals, mother of pearl, horn, shell, and freshwater pearls. "I create with a woman in mind who has a strong sense of style, a passion for design, and an appreciation for clean and modern jewellery,” says Melissa McArthur, founder and creative head of the eponymous jewellery brand. McArthur’s design ethos is about versatility, modernity and minimalism.